Want a “FAN”tastic event!? 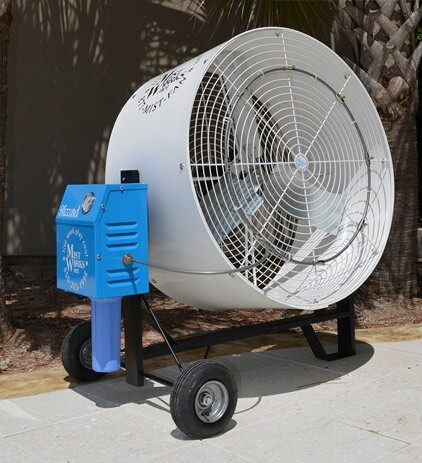 Rent Msit Works outdoor cooling misting fans! Call for rates! Multi-unit /multi-day discounts offered. 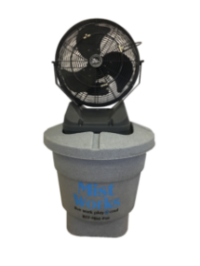 Mist Works has the LARGEST misting fan fleet for rent in the US with over 175 portable misting fans available! We offer many rental options for cooling off your party, festival or job site. Each event, location and venue is unique and we will work with you to determine the best misting fan options for your event and budget. All misting fans are not alike-only high pressure, like our mist fans, cool without surface wetting. Misters in medical tents aid in heat stroke recovery and prevention. High-pressure misters create the finest, driest mist-allowing for the fastest evaporation and cooling. Mid-pressure misting fans are great for sports events and picnics, but we highly recommend our high-pressure units for optimal cooling without wetting. 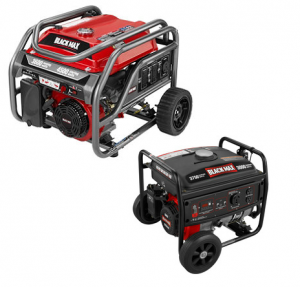 ALL our rental cooling products require 110v electric, some require constant water source others have tanks that will be filled. 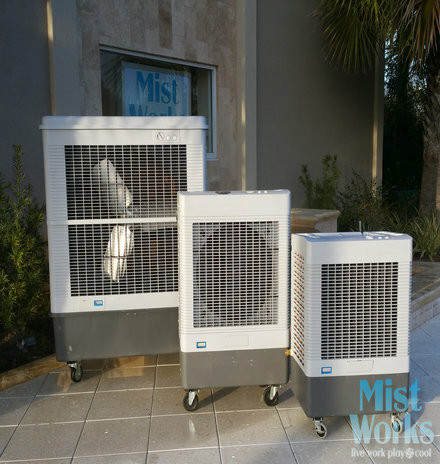 Mist Fan rentals in New Orleans, LA, Pensacola, FL and Houston, TX readily available for delivery or pickup. We do work Nationwide and deliver & setups for the larger events. This mist fan may cool 50+ feet out! Cools out 20-30 feet and spreads cooling the further the breeze goes! Cools 3-4 hours on one tank of water. Available in Pensacola areas only. Co-branding opportunities available for your business or Clients. Event planners / special event companies please call for specials. 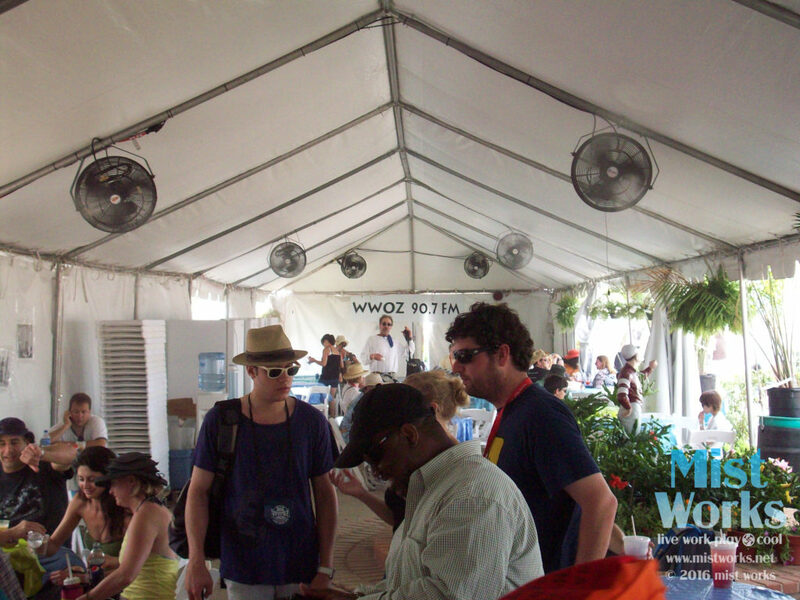 Large (think Jazz Fest, X-Games, Beer fests & PGA Championships) or small events & festivals can benefit from cooling misters! 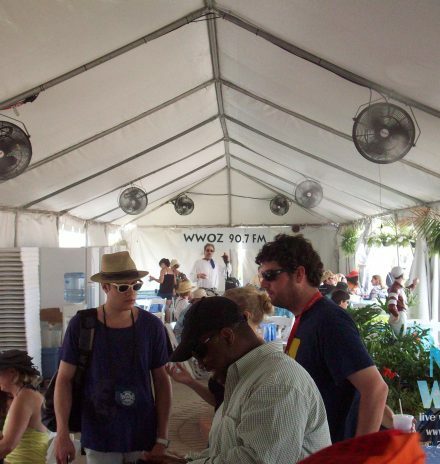 Guest enjoy the music, sport, art, food & drinks comfortably with our misting fans! VIP areas will be extra “COOL” with Mist Works. 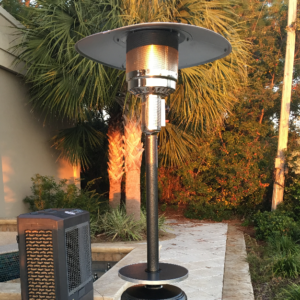 Mist fans for weddings, hotels, hospitality venues, parks, sports fields, backyards, movie sets, beach, crawfish boils and any other kind of event you need to be COOL. 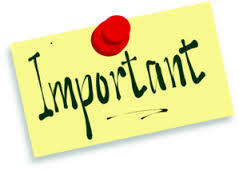 Delivery, setup and support onsite available, but not included in rental pricing (additional fees will apply). 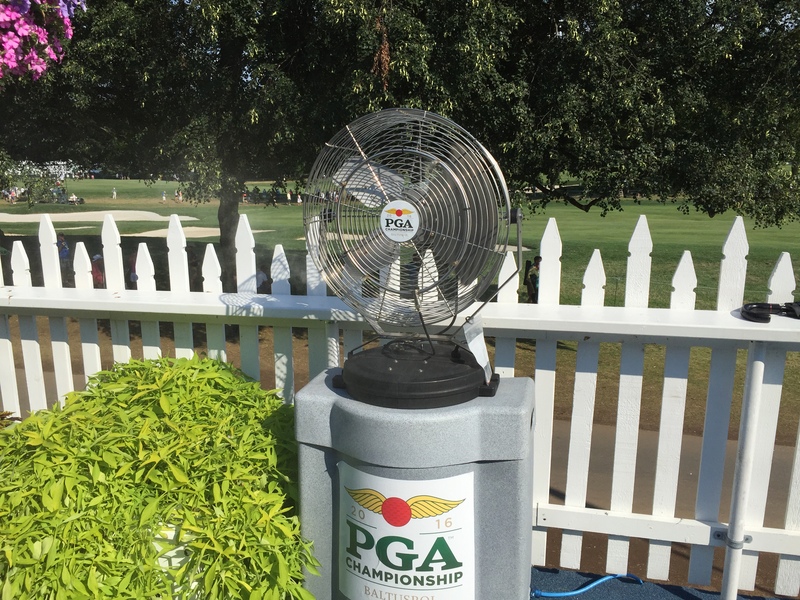 Mist Works is THE provider of sports misting fans for the PGA Championship tournaments since 2016 check out our fans being used!